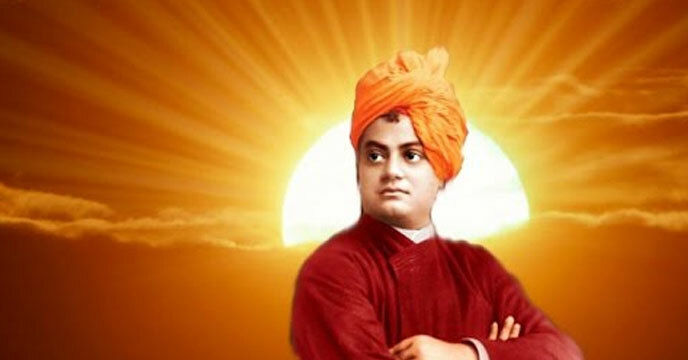 Swami Vivekananda Death Anniversary 2018: Today July 4, 2018, marks the Swami Vivekananda 116th death anniversary – one of the most revered spiritual leaders of India. He was the first modern Indian to elaborately explained about rich Indian culture and religion in the Western world. He was the man behind the uplifting status of Hinduism as a major world religion during the 19th century in the Western world. Swami Vivekananda is best known for his iconic speech at the Parliament of World’s Religions in Chicago in 1893. Contrary to the stereotype of address ladies and gentleman, he began his speech with “Sisters and Brothers of America.” which was enough to touch the heart of all the audience instantly. In this speech, he introduced Hinduism. After 116 years his speeches are still relevant for us all. His fiery speeches and lectures roused the consciousness of thousands of people. Southcolors.in brings some very interesting and eternal messages he delivered to people on occasion of Swami Vivekananda Death Anniversary 2018. 3. “A few heart-whole, sincere, and energetic men and women can do more in a year than a mob in a century. 4. Do not lower your goals to the level of your abilities. Instead, raise your abilities to the height of your goals. 5. Take Risks in Your Life If you Win, you Can Lead! If You Lose, You Can Guide! 6. Blame neither man, nor God, nor anyone in the world. When you find yourselves suffering, blame yourselves, and try to do better. 7. Are great things ever done smoothly? Time, patience, and indomitable will must show. 8. All power is within you; you can do anything and everything. Believe in that, do not believe that you are weak; do not believe that you are half-crazy lunatics, as most of us do nowadays. You can do anything and everything, without even the guidance of anyone. Stand up and express the divinity within you.